NEW YORK (WABC) -- Girls and boys will hit puberty early if their parents were early bloomers, a recent Danish study reports. Researchers studied the puberty timings of 672 girls and 846 boys and noticed that showing early signs of puberty, such as pubic hair growth, correlated with having mothers and fathers who matured early. "Both genetic and environmental factors undoubtedly influence puberty timing," said lead study author Dr. Christine Wohlfahrt-Veje, a growth and development researcher at the University of Copenhagen. To see how these genetic factors contributed to puberty, Wohlfahrt-Veje and colleagues examined data from parents' self-reported puberty timing and their kids' medical records from annual checkups between 2006 and 2013. Compared to sons of late bloomers, boys whose fathers' matured early tended to develop pubic hair almost one year sooner and grew enlarged testes about 9.5 months ahead. Mothers also have a genetic influence on their sons, as boys typically experienced genital maturation 6.5 months earlier than boys whose mothers developed late. Environmental factors seem to have a stronger influence on girls' puberty timings, the study shows. "The early pubertal markers - onset of breasts and pubic hair - in girls are less dependent on genetic and hence more on environmental factors such as childhood growth patterns and possibly other environmental exposures," Wohlfahrt-Veje said. For example, early breast development in girls, however, didn't appear to be tied to early puberty in their fathers. Still, girls with fathers that matured early started menstruating about 10.5 months sooner than girls with late-bloomers for fathers, and the girls of fathers who went through early puberty also developed pubic hair around 7 months before girls whose fathers developed late. Daughters of women who matured early typically started menstruating about 10 months sooner than girls with late-blooming mothers. Recent studies show that children in general are starting puberty earlier, especially girls in developed countries. Experts suspect that this is caused by environmental factors, such as diet, obesity and chemicals that mimic human hormones. 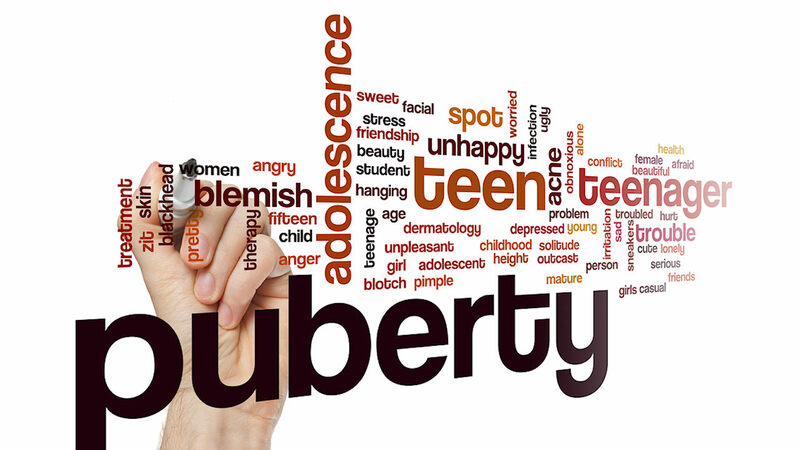 This early onset of puberty can have negative effects on boys and girls. For instance, early bloomers may be shorter than average adults because their bones may stop growing after their early growth spurt and have an increased risk of obesity as adults. They are also at risk of experiencing social and emotional problems and earlier sexual encounters. Wohlfahrt-Veje's had a few shortcomings, such as the fact that data relied on parents to accurately recall their puberty timing. Researchers also received more data from mothers than fathers, which may have affected the relative influence of each parent in the results. Still, when kids develop early, they quite likely came from a long line of early bloomers. "A broad normal variation exists within timing of puberty," Wohlfahrt-Veje noted. "A large proportion of this variation seems to be explained by genetics. If either the mother or father had early or late pubertal development it is likely to influence the timing of pubertal onset in both their sons and daughters."